A hungry pterodactyl has stolen a dinosaur's egg and dropped it on his way to the nest. 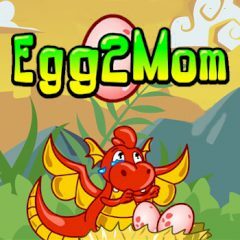 The dinosaur is trying to get its egg back – will you help the heedful mother? She will be very and very grateful – so begin!